"Guardians of the Galaxy" has everyone buzzing. It also got us thinking: Who are the guardians in football and which characters would they play in the Marvel universe, including David De Gea, Tim Howard and Gigi Buffon. 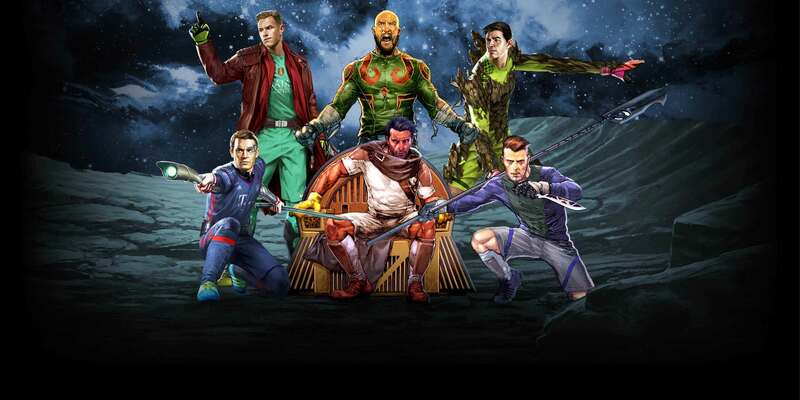 To celebrate the Guardians of the Galaxy, ESPN FC selected the top guardians of the football galaxy -- the goalkeepers, of course. These are the intrepid players charged with the most important job of all ... keeping the ball out of the net. Cocky, good-looking and supremely confident with the ball at his feet -- and he knows it -- it didn't take him long to push Claudio Bravo aside and become Barcelona's No. 1. Like Star-Lord, his supreme confidence can lead to occasional mistakes, but mostly it fuels saves worthy of the highlight reel. He's pushing 40, but hold Buffon's age against him at your own risk. Like Thanos, who oozes experience and an imperious drive to succeed, Juve's charismatic keeper has developed such a mastery over his surroundings (a.k.a. the penalty area) that he can thwart any opponent with brains or brawn. Underestimate either of them and you're finished. Here's a passionate, outspoken, sometimes raging keeper who can take a beating -- remember his all-world World Cup game vs. Belgium! -- and dish it out to both opponents and teammates (paging Jones, Jermaine Jones). Drax the Destroyer would toast to that: "Let us put more of this liquid into our bodies." Courtois has more in his vocabulary than "I Am Thibaut," but he is not exactly one for words, either. He makes statements with his nonpareil skills, an unflappable master -- like Groot -- of making himself big when he is called into action. You really need to watch De Gea in slo-mo to actually catch everything he does. He's here! There! Everywhere! Blessed with Gamora-like reflexes and agility to save any shot in a flash with his arms and legs. Others get the glory, but we know who saved the day. Like Nebula, a gifted battle strategist, Neuer is as much a thinker as an athlete. He uses his size to put off opponents or get into their heads. He might overextend himself in the sweeper-keeper role, a shortsightedness that can afflict Nebula too, but it hardly holds this world-class keeper back.